The Fire Safety Plan includes important information for first responders (Fire Department) as well. Using pictures & descriptions, we create a quick sheet that shows the fire department where to find the most important safety systems in an emergency. We also use building drawings to plot the locations of those major safety systems for their reference. Along with the information collected from the building occupants above, the Fire Department has some very useful information readily available when they arrive. The Fire Safety Plan includes an inventory and pictures of the safety systems installed in the building and some very important information about what is required to maintain these systems and to keep the building in compliance with the Fire Codes. 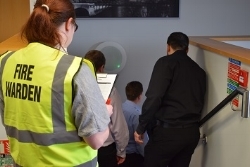 For our commercial clients, we have designed various evacuation systems using Emergency Wardens that enhance the safety of the building by ensuring occupants know what to do in an emergency including where to go and when to leave. Fahrenheit 451 has created hundreds of Fire Safety Plans for condominium & office buildings including new construction and existing buildings. Our team of experts will visit your property and complete an inventory of the fire safety systems that are in place. Using that information and photos they customize a Fire Safety Plan to both enhance the safety of the building and help to ensure compliance with the local Fire Code. The Fire Safety Plan includes a simple system that allows management to collect data from the building occupants to find out if anybody is likely to require assistance in an emergency. That information is then summarized on a living document that gets posted in the Fire Safety Plan binder. The same system allows management to communicate with the occupants regularly and give them important safety information about their building. We have designed a variety of Emergency Warden Systems for a variety of buildings. These can be used as is or customized to suit your property. The Emergency Warden system when implemented and practiced will take your property to the next level of safety. 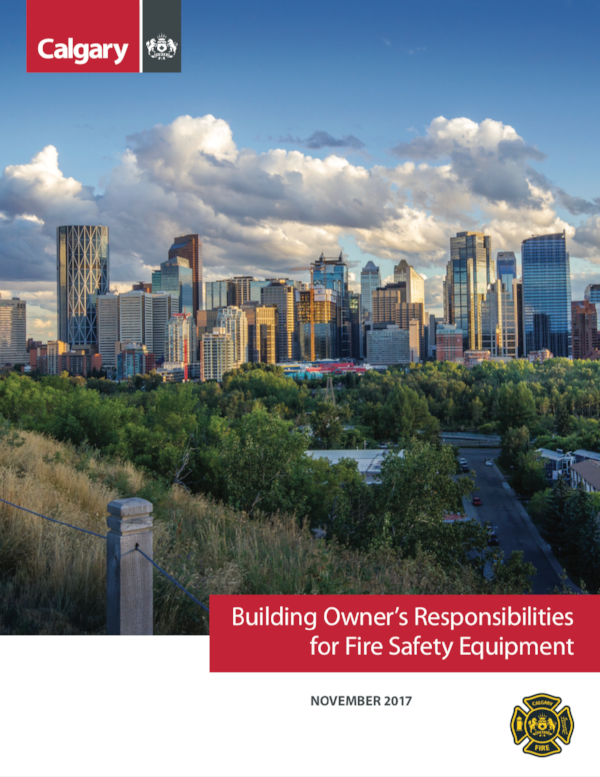 The City of Calgary Fire Department has published a document that outlines a building owner’s responsibilities under the Alberta Fire Code. Click below for your copy.